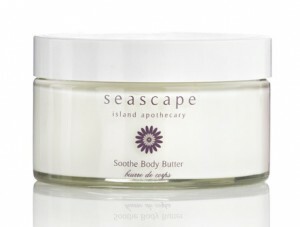 Made from entirely natural essential oils, Seascape Island Apothecary is a brand that truly is 100% natural. Our skin absorbs up to a staggering 60% of what is applied to it, so when it comes to skincare, we believe it really is best to keep things as simple as possible. Most lotions and potions available on the market contain a high amount of chemicals, but cult brand Seascape Island Apothecary is impressively silicone, paraben and petroleum free – using only natural ingredients. Inspired by the coast of Jersey, the brand infuses its products with various hand-blended essential oils, creating eight therapeutic collections. Thanks to their lack of chemicals, all products are suitable for sensitive skin, vegetarians, young skin and even skin during pregnancy. The ‘Soothe’ range is created to induce feelings of calm and relaxation for a truly indulgent treat. The body butter from this range includes lavender to relax the body, ylang ylang to balance the mind and mandarin to rejuvenate the skin. The formula also contains vitamin E and is rich in omegas three and six to help reduce stretch marks and repair damaged skin. The body butter itself has a rich consistency, keeping your skin feeling supple and hydrated all day long, while the fresh lavender scent lingers on your skin as a welcome reminder of your treat. The price point reflects the brand’s luxury status at £22 and we think it’s best kept for occasional indulgences. The entire range of products from Seascape Island Apothecary can be purchased online or in store at Fortnum and Mason.